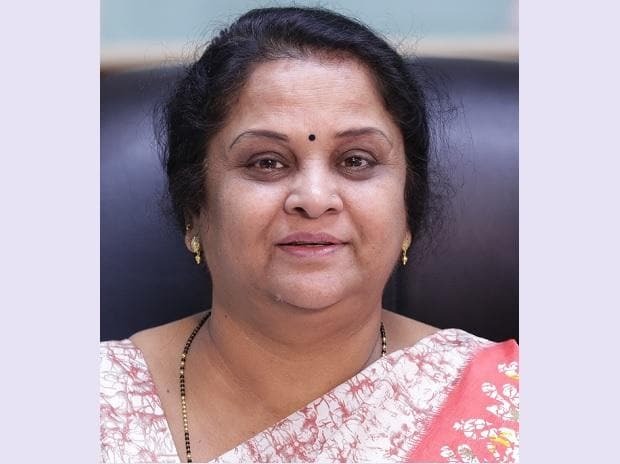 The rollout of new steel policy saved forex of Rs 50 billion since last year while around 24 million tonnes of crude steel capacity was added during past four years, Steel Secretary Aruna Sharma said. India also replaced Japan as the second largest steel producer this year, she said. "We are not going to stop here. We all know about the ambitious National Steel Policy (NSP) announced last year under which we have set a target of raising the capacity to 300 MT by 2030 and produce 250 MT of crude steel. "Plans for further expansion are already on anvil. Immediately after the rollout of the policy in May 2017, an estimated savings of around Rs 50 billion worth of foreign exchange has been achieved as of now," the top official told PTI in an interview on achievements and initiatives taken by Ministry of Steel in past four years. Steel production capacity has increased from 110 MT in 2014-15 to 134 MT in 2017-18, while 7 MT was added in 2017 alone, she outlined. Indian steel sector has been growing at a compounded annual growth rate (CAGR) of about 5 per cent over the past four years on account of improvement in the overall capacity utilisation, she said. "At the current pace and outlook of the industry, steel making capacity is expected to reach 150 MT mark by 2020." Steel exports have been surging since FY2014-15, she said. "InFY17, India became net exporter of steel with significant export of 8.2 MT registering 102 per cent growth over previous fiscal. The exports from 5.6 MT in FY15 rose to 9.6 MT in FY18. On the other hand, the imports have declined by 36 per cent from a level of 11.7 MT in FY16 to 7.5 MT in FY18," she added. A number of PSUs including Steel Authority of India Ltd (SAIL) turned profitable, she said. Prime Minister Narendra Modi inaugurated a steel processing unit of SAIL in Kandrori near Bilaspur, Himachal Pradesh in October last year where high-end special steel TMT bars will be produced. To a question related to supply of raw materials like coking coal, iron ore etc, the secretary said there will not be any scarcity of raw material for the producers. The new steel policy, she said, envisages to meet the entire demand of high-end grade automotive steel, electrical steel, special steels and alloys for strategic applications and increase domestic availability of washed coking coal so as to reduce import dependence on coking coal from about 85 per cent to 65 per cent by 65 per cent. When asked about employment potential of the initiatives taken by the ministry, the secretary observed that the policy aims at generating additional employment for 3.6 million people directly or indirectly. Besides raising capacity, the government also worked towards increasing the domestic steel consumption. "Owing to the enabling steps taken by the government, we brought it from 59 kg in 2014 to 69 kg (provisional figure) on date. Before that it had taken seven years to raise the per capita consumption from 50 kg to 59 kg," she said. The national steel policy also aims to increase the per capita steel consumption to 160 kg by 2030. Sharing here experience about the sector, Sharma said the industry was facing a tough time. It was not growing at the pace it should have been. As the new government was working towards the progress of the sector, the issue of NPAs (non performing asset) came up, she said adding "NPAs in the steel sector reached to their peak of Rs 1.15 lakh crore which was about 30 per cent of the total industry NPAs in March 2016." However, it was good also that the problem was identified and so steps were taken to resolve it. Once the cases get resolved, the plants will give their full contribution, she said and added "As the steel sector has been performing well for the last two years, bidding for the stressed under NCLT process is heading towards positive resolution." Besides, dumping of cheap steel items was another issue, she said. Sharma said the ministry imposed trade remedial measures and brought in quality control order. "Imposition of minimum import price, anti dumping duties, safeguard duty and countervailing duty resulted in curbing unabated exports and unfair trade practices like predatory pricing by other countries. "To decrease import and making of substandard steel items in India and to provide a level playing to small players vis-a-vis bigger players, more than 80 per cent steel products have been brought under quality control orders by notifying 37 steel and steel products under BIS Act," she said.